The fascinating thing about this novel is that it won this year's Stella Prize but it was not even long listed for this year's Miles Franklin. Having now read the book I think I know why. There is a surface brilliance to it. 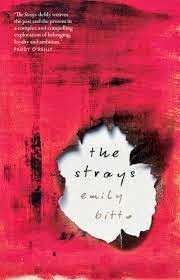 Bitto can certainly write, and in this story of an artist community rebelling against the strictures of a conservative 1930's Australia, she captures the rhythms and dynamics of family and intense friendships exceedingly well. We are captivated by the central story of the three daughters of Evan and Helena - Bea, Eva and Heloise - and Eva's best friend Lily who comes to live with them on a sprawling property outside Melbourne. Lily is the novel's narrator. She falls under their spell, and both sees things and doesn't see things. Stories about Dionysian utopias like this always need a whammy to kick in eventually. It's the underside, the ugliness, the pivotal event that allows reality to crash through and break it all apart. Bitto handles the build up with skill. The problem is that this happens two thirds of the way through the book and the final third just loses its way. In fact it's embarrassingly bad. It's cloying, cheesy and a complete fizzer. Bitto seems unable to imagine the real and to follow its inevitable logic. For example the police and state authorities would have been all over this family and community when the serious events took place. But Bitto ignores this. Why did Bitto chose an artist colony as her central proposition? To make what point? She counterposes a 'conventional' life' against 'the romance of the fully lived life'. When Lily as a middle aged woman, after the failure of her first marriage to a rootless, unfaithful artist, marries a boring 'economist' we're supposed to empathise with her choice of 'an ordinary life'. But this age-old and cliched romantic polarity has long been scraped of any meaning in today's world with its multiplicity of lifestyles, many of them creative and all of them conventional. The romantic 'ideal' belongs only in literature. Which is why, I think, that most of the characters in the novel never really come alive. And in their dotage, when they are reflecting, they matter even less. We don't really care.